SORIG is a Tibetan word literally means science of healing. It is also a registered brand name of our products. SORIG range of product consists of skin care and beauty preparations, herbal teas, natural health products and food supplements, Incense sticks etc. The products are based on active and non-active ingredients, formulated in strict proportion to the way it contributes to the effective nourishment. The active ingredient in each product has important function of its own while non-active ingredient remains as passive yet provides healthy supportive environment in bringing best results. Each product is thoroughly researched blending modern methods with ancient Tibetan wisdom of healing. 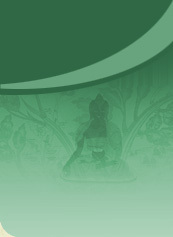 Tibetan and non-Tibetan experts are consulted to ensure the highest possible quality. We take great care in using the best quality natural ingredients. Every effort is being made to ensure maximum consumer safety and benefit. All products are free from side effects. Tibetan Medical System or the Tibetan wisdom of healing having its rich historical background is one of the renowned & old aged medical traditions in the world. Since the beginning of human civilization in Tibet, Tibetans have acquired and developed the knowledge of maintaining healthy and good physical appearance. This precious knowledge of healing is preserved by the Tibetans on the roof of the world. The Tibetan Medicine has evolved and refined with the time to combat the disorders arises from the imbalances of three principle energies. Even animals like Cervus albirostris Przewalski ( deer ) seeks the herb- Soroseris hookeriana to revive their wounds, an avian (Alanda gulgula) applies Coriandrum sativum to bind the crack of their egg’s shell. Similarly, as in the case of human being applying of apricot kernel oil to smooth the skin, & use of Melandrium glandulorium as a perfume, mixture of washing soda and Ulmus punila as a detergent. Paste of honey, mineral exudates, Asparagus racemosus and Acacia catechu to protect the skin damage from the harsh and cold weather, applying Chang (Tibetan beer made by brewing barley) to reduce swelling, using melted butter to stem bleeding, Arnebia sp. for the treatment of freckles, mustard seed and butter to moisturize the skin etc. these and such traditions are some of the basis for the evolution of Tibetan medicine. Generally, the skin is considered as the largest and most sensitive organ of the body. As in the text, the more we plaster cement on the brick of house, the better will it project its physical appearance and prevents from damage. Similarly, the more we render care to our skin the better will be its protection and health of our skin. However, it is also important that the sole external application doesn’t result to the health of the skin. Proper life style and balance diet also play a key role. Moreover one needs to keep the positive mental attitude. This is the basic principle applied in Tibetan Medicine as a remedy for the treatment of physical and mental disorders. The suffering and mental stress does affect the condition of physical appearance like the luster and glory of skin. Therefore, imbalances and fluctuation of the physical energies (Loong or rlung) which helps to function our inner systems and the energies which provide smoothness to our skin results in prolong sickness, mental and physical stress, distortion of body, appearance of wrinkles, graying of hair and beard, weakening of sensory organs are some features of the ageing. The external factors that affect the condition of our bodies are pollutions, toxic gases, and evil spirit. The pollutants and agents which cause the disease get penetrate from the surrounding to the body system and other connective tissues like blood and muscle through the skin and get carried away by the serous fluid and result to the skin disorders like mole, freckles, wart, wrinkle, rough & dry skin, and weak skin are some of the features of the ill health skin. SORIG PRODUCTS not only does it helps for the health of outer body but also supports the inner mental state. Sorig products are prepared from the herbs which are grown in Tibet and Himalayan regions located at about 3000 meters above the sea level. Such herbs are collected with utmost care and respect to the surrounding environment. For instances, herbs like Medicago lupulina helps to revive the dry and rough skin and improves the skin texture, Asparagus racemosus strengthens the body by improving the hemoglobin count and promotes the skin texture by treating pimples and freckles. Hibiscus moschatus has the potencies of anti-wrinkle & anti-ageing and also act as an antiseptic. Holarrhena antidysenterica improves the glory and luster of the skin. Areca catchu helps to treat wound, itch and burns. Curcuma longa helps to soothe the skin, erase the scares, and treat the inflammation. Terminalia belerica treats serous fluid disorders, and strengthen the condition of skin and also has a blood clotting properties. Irs sp. improves the skin texture by promoting the blood circulation, Embelica ribes act as an antiseptic and elevate the blood circulation, Butea monosperma has an anti-microbial property and purifies the blood. Myristica fragans balances the body loong ( rlung ), thereby strengthen the body, promote the blood circulations and retains the mental stability. Carum carvi helps to combat the nerves & muscle constriction, also help for the loong disorders aggravated due to obese. Zingeber officinalis help to promote the blood circulation and relief the muscle restrains & Helianthus annus helps to promote the body heat. Prunus aamemica (apricot oil) dries up the serous fluid, purify the blood & help to grow the healthy hair. Embilica officinalis helps to dispel the blood febrile, relief the itch and strengthen the hair growth. Terminalia chebula alleviates all kinds of disorders like elevated the blood and loong circulation,clear up the nervous route, strengthen the muscle and make the skin supple. Oxytropis microphylla relief the inflammation, swelling, binds the detach nerve and act as an antiseptic also. Cinnamomum camphora dispel all kinds of febrile, & Gymnadennis conopsea strengthens the body, promotes kidney heat, alleviates all kinds of cold disorders and has property of rejuvenation. Elettaria cardamomum promotes kidney heat, and alleviated all kinds of cold disorders. Withania somnifera also alleviates all kinds of cold disorder, promotes kidney heat and also act as aphrodiacse,& carthamus tinctorius cures all kind the Tripa and hepatic disorders, strengthen the body,& restore the body hemoglobin level. Rubussp. Combat pulmonary disorder like different kinds of fevers such as epicemic febrile, fever aggravated due to loong ( wind) and baeken (phlegm) disorders & fever due to cold, Syzigium aromaticum helps to relieve loong disorders and promote the body heat, Sesemum indicum (Til) strengthen the body and act as aphrodiacse, Symplococcus paniculate is used as a mouth freshener and relief the fever. Rosa combats the bile and rlung disorders, Amebia sp. relieves the fever and purify the blood, Rhododenron sp. promotes the body heat, strengthen the weak body & relieves the baeken disorders. Cinnamomum zeylinicum promotes the digestive heat and food appetite, Punica granatum cures all kinds of baeken disorders especially for the cold disorders and also promotes digestion heat, illinium vernium promotes digestive heat and blood circulation, & also alleviates cold and loong disorder, Amomum sabulatum promotes food appetite and digestive heat, also alleviate gastro-pancreatic disorders, Kaemferia ( wild ginger ) also promotes digestive heat and food appetite, and also cure both the loong and baeken disorders. These are the application of some of the herbs which are used in the production of the Sorig product.